Manchester United are returning to Premier League action next weekend, but until then, let’s take a look at which players have been linked to the Devils, but which the club should not pursue this summer. 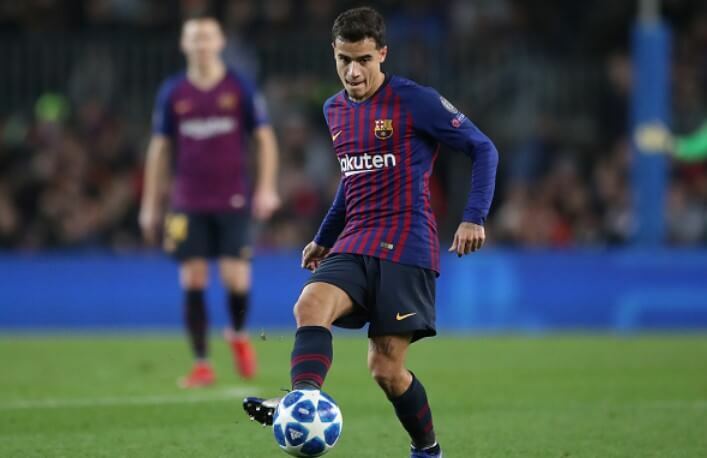 Manchester United have been often mentioned in recent weeks in regards to possibly signing Barcelona midfielder Coutinho. Former Liverpool star has been having a hard time since joining the Catalan club, as he does not fit the needs of Ernesto Valverde. The Brazilian was one of the record signings in the history of football last January when he moved to Spain, but ever since he has not been able to produce the performances that have made him so wanted when he was at Liverpool. There are speculations Barcelona could let him go this summer and try to recoup as much money as possible, but that still feels a bit far-fetched. However, if Barca truly go for that option and try to raise money for other places to spend – for example Luka Jovic or Matthijs de Light – then that could be one of their means to an end. There were some links between Man United and Kostas Manolas in the media, but whatever the truth is, Man United should not sign him. The Greek centre-back is best known for his goal against Barcelona in Champions League quarter-finals last season and it seems like many people look at him in a much better light just because of that. But Manolas is far from what the Devils need at this moment. He will turn 28 in the summer, which is good, but his qualities are not as good as United would need. Manolas would not improve this defence in any obvious way and therefore signing him would just be spending money and time for no particular visible gains. You might know Renato Sanches as the best young player at the UEFA Euro 2016 when he became European champion with Portugal, but you might also know him from his time at Swansea, when he got relegated with the Welsh club whilst never truly trying to help them avoid the drop. No wonder still many people feel unease when talking about him. It is hard to predict how his career will turn out. Sanches is unhappy with the playing time at Bayern and could urge the club to sell him. Man United were once targeting him, but this time they should stay away from him. His attitude never seems to be right, especially when he was at Swansea and you never truly know what you will get with him. Man United need reliable players who have matured and who can help right away. Sanches does not seem to fit what United need right now and he could only create more issues in the midfield, where this team needs clear solutions, not more risks.